Celebrating the birth of a child is always a special occasion. 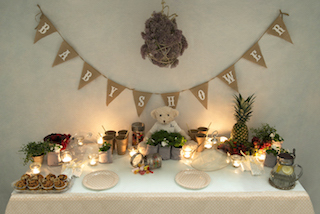 With our deluxe baby shower gifts, it will be all the more memorable. Some of the most popular and practical congratulatory gifts, include newborn baby clothes. At BebedeParis you can buy baby clothes online in South Africa. We provide exclusive newborn clothes for both girls and boys. 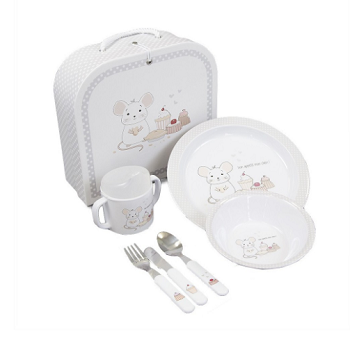 There is a wide variety of special baby shower gifts on offer at our online store. With excellent service and superb products BebedeParis has earned a reputation as one of the best online baby shops in South Africa. This is also what we pride ourselves in. 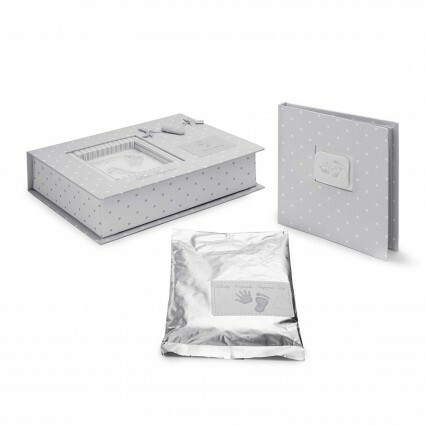 There are luxurious gift sets available to spoil a new mum and baby. A cotton bathrobe and babygrow is a wonderful gesture to welcome a little one into the world. To top it off, a pair of fluffy baby slippers can be included in a package as well. Our newborn clothes are made of 100% cotton. BebedeParis bodysuits, dungarees, babygrows and numerous other items from our baby fashion collection are available for babies from size 3-6 months. Experience show that parents usually have enough clothes for the first 3 months, that’s why our perfect newborn baby gifts includes baby clothes in size 3-6 months. You can buy coloured outfits or choose a plain white option with coloured details around the edges. Not knowing the gender of the baby is no reason for concern when it comes to choosing the perfect newborn baby present. Of course, blue and pink blankets, linen and pyjamas are available, however, we also have neutral options. White and grey are just the right pick for those who do not yet know the answer to the question on everybody’s lips – whether it is a boy or a girl. If you prefer not to buy clothes as a baby shower gift, you can opt for a teddy bear instead. They are available in 42cm and 30cm sizes. 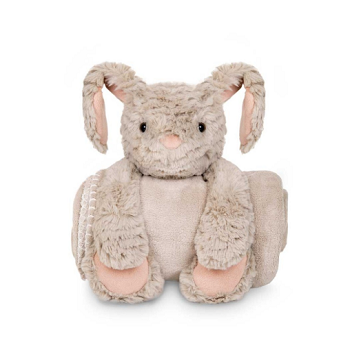 The sheep soft toy is another favourite and so is the bunny soft toy which comes complete with a full size travel blanket. 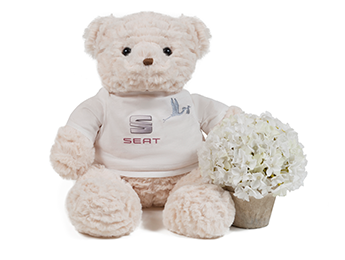 The luxurious products in our range can be personalised with a baby’s name embroidered. If you want to present your friend, family member or colleague with a beautiful gift that will make a lasting impression, consider buying one of our beautiful footprints sets. Not only does it serve as a decoration in the baby’s room, but it is also a great way of remembering the precious first months of a baby’s life. The gifts in our online baby store are all thoughtful and creative. This is why we are the top online store for newborn clothes in South Africa. With us, it is easy to celebrate a birth with new parents and to show your support. We are known throughout the whole of South Africa for fast and reliable service. In Gauteng a bellboy will deliver the baby gifts to the selected address the first day after the purchase was made. Reliable courier services are available for clients situated in the rest of the country; in which case delivery time depends on client location. Delivery fees on smaller packages are kept to a minimum and larger orders are delivered for free. To create the best user experience and satisfy every need of our customers, we have an online store. You can take your time to have a proper look at every product in our catalogue and more than that – you don’t have to stand in line when wanting to pay. Everything you need is accessible from one place and can be viewed any time of day. Here at BebedeParis, we strive to bring exclusive new products and services to the market. The items in our hampers and baskets are top quality and gift sets are timeless. Our bellboys look neat and professional in their uniform. They will surely make the delivery of the baby gift even more memorable. Customer satisfaction, exceeding their expectations and providing value for money are on our list of top priorities. 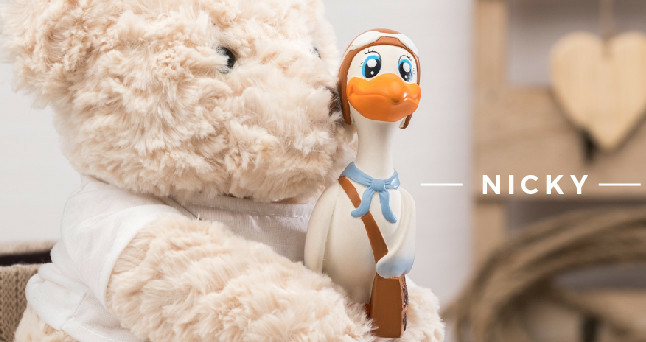 Shopping for newborn baby clothes in South Africa has never been this easy. Every gift could possibly think of is listed in our product range. Along with exclusive luxury, we also have very creative presents. There are countless wonderful options. At BebedeParis you are sure to find the perfect gift for your expecting friend, family member or colleague in no time. No matter how big or small, your baby shower gift will be appreciated and remembered. Newborn baby clothes are of the most common baby shower gifts, and with good reason. Any new mom or dad will want only the best for their baby. Being able to dress a child in comfortable clothes that won’t irritate their skin is a necessity. This is why we sell 100% cotton babygrows which are breathable and soft on delicate baby skin. The brilliant gift ideas are endless. A nappy cake in the shape of a motorbike, along with lots of other items, including a bottle and teddy bear, is just one of our unique creations. There are detailed descriptions of every product so you know exactly what to expect when the parcel arrives. Exceptional quality is our goal when it comes to the products we offer to the public. Therefore, you can be sure that the blankets, linen, bathrobes and other gifts, are all made with luxurious fabric to ensure comfort. The prices of the personalised gifts available on our online baby store, are also listed. Value for money is guaranteed when you make a purchase from the newborn baby gifts catalogue of BebedeParis. Browse through our website in your own time and order classic baby shower gifts exclusively from BebedeParis. There is no better way to spoil a newborn baby and parents today. Clients can either phone our office or contact us via e-mail should they have any inquiries regarding our services and products. We are just as excited as you are to surprise new parents with a very special deluxe baby gift set delivered to their front door. You can also have the gift delivered to the hospital, company or at the baby shower.